Comprehending the changing needs and desires of our customers, we are engrossed in the domain of presenting to our customers a wide consignment of Clutch Line. Designed with superiority, these offered products are widely acclaimed and cherished. More to this, these could be modified to match with the changing needs and demands of our customers. We offer superior quality clutch linings to our clients that are used in two/ three wheelers in the automobile industry. We are offering Steel Clutch Plate to our clients. 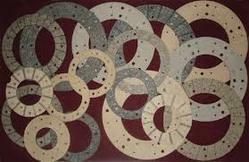 We are prominent names in this domain for offering a wide range of Stamping Machine Clutch Liner. Owing to their high strength, these products are highly demanded. Matching up with the ever increasing requirements of the customers, we are engaged in providing Clutch Liner. Being a well-established organization, we are engaged in offering a distinguished range of Clutch Lining. We are looking for inquiries from Pune only. As a principal business name, we are occupied in rendering to our customers’ highly reliable Clutch Liner. Being a leading firm in this industry, we are offering a high quality range of Machine Clutch Lining. 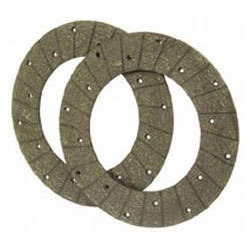 Brake shoe linings for all standard machines are supplied indifferent qualities, like metallic, wire woven, BA (woven), metallic mix and asbestos based. We can supply any type of brake linings as per customer sample, drawing or specifications.